Best Holiday Lights in the United States? We Think So! Dominion Energy GardenFest of Lights at twilight. Image by Tom Hennessy. It has been my incredible honor to work at Lewis Ginter Botanical Garden for the past 10 years. I truly love this place and have been blessed with meaningful work that I enjoy more than I could ever dream of. I spend each day here side-by-side with passionate, dedicated volunteers and colleagues who strive each day to make this world a better place. The programs here at Lewis Ginter are diverse and far-reaching. We work on everything from preparing youth who have developmental disabilities for the workforce, to planting an urban orchard, to growing food for the hungry, to therapeutic horticulture programming, to teaching kids about nature and ecosystems and helping youngsters learn where their food comes from. We work to bring more green spaces to Richmond, we train citizens in community-building and sustainable horticulture, supply community greening toolkits, and whenever we can, we help dreams come true. Not only do we hold classes in gardening, art, yoga, and intuitive eating, but we also host workshops for educators each year so we can reach even more students. We take pride in sharing the Garden. Thanks to sponsors, we offer several free admission days each year and are always looking for new ways to be a better community member, to become YOUR garden; to make Richmond, Va. proud. 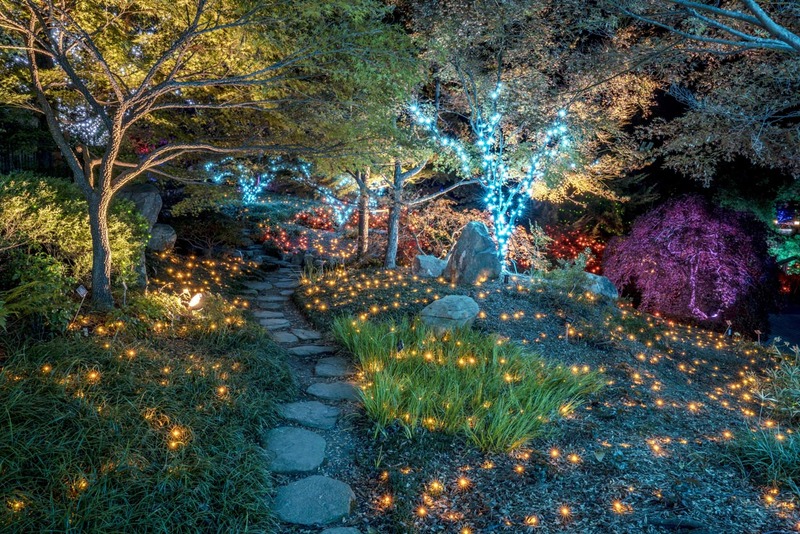 As many of you know, our busiest time of year is coming up: Dominion Energy GardenFest of Lights. 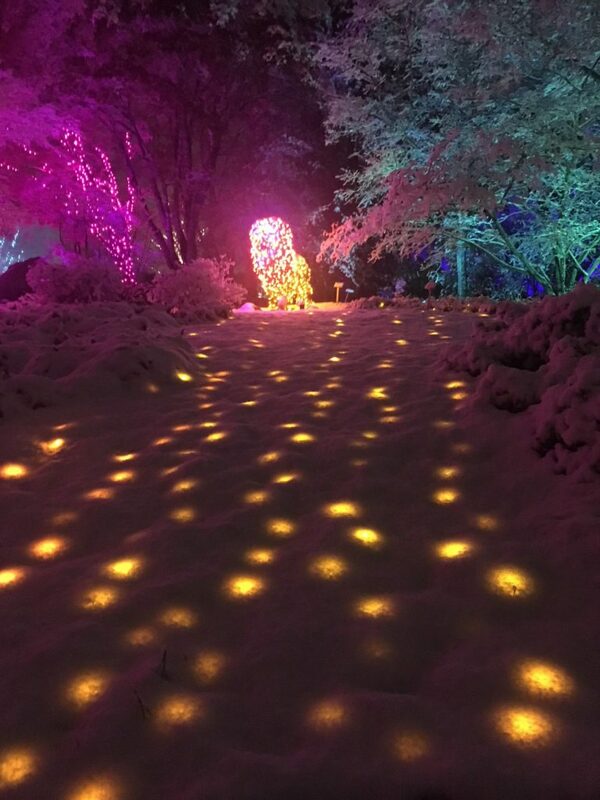 The proceeds from our light show help support our year-round effort to connect people and plants to improve communities. As a reader of this blog, we hope that you will you take a moment to recognize our work. 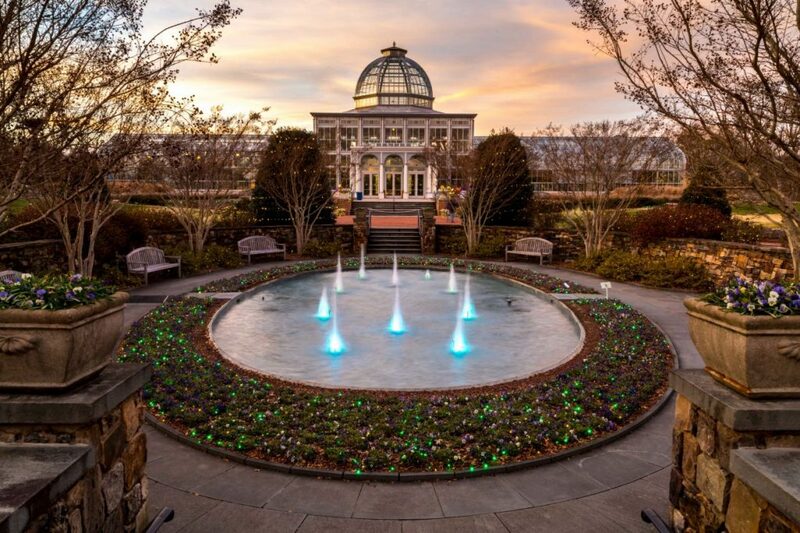 Lewis Ginter Botanical Garden is a finalist for a very special award — being recognized as one of the Best Botanical Garden Holiday Lights as named by USA TODAY 10Best. In supporting us in this effort, you are also supporting Richmond and Virginia as a travel destination. We love how this one-click is easy and takes very little time and no login. We appreciate each vote. Voting ends Dec.10, 2018 at 11:59 a.m., winners will be announced on Dec. 21, 2018. Thank you for supporting your botanical garden. Thank you for supporting Richmond, Va.
Jonah Holland is PR & Marketing Coordinator at Lewis Ginter Botanical Garden, specializing in social media. She's been known to go for a walk, and come back completely inspired to write a blog post on her newest found adventure.